The 11th Jacksonite Annual Lecture was held successfully at the Princess Alexandra Auditorium of the University of Nigeria, Nsukka on Tuesday, July 3rd, 2018. The guest lecturer, Prof. Pat Utomi, regaled the audience with stories from his speaking circuit around the world while dissecting the topic, “The Media and the Development Challenge in Nigeria at a Time of Crisis”. While I have not perused the lecture penned by the erudite professor, I thought I should summarise the wide-ranging issues he touched on during his captivating presentation for my young readers. Utomi’s lecture drew heavily from development and media theories and was a rollcall of notable thinkers, especially in the former area. He cited Jürgen Habermas’ work on the Public Sphere and Ithiel de Sola Pool’s contribution to The Communication Handbook in which he discussed public opinion, among others. He also referred to some of his own books such as Managing Uncertainty: Competition and Strategy in Emerging Economies and his many conference papers and public lectures. I have skipped the big names and the theories in this post but encourage the reader who has the lecture to read it well and learn about the bright minds mentioned therein and their contributions to critical thought about societal development and media role in that regard. Utomi articulated some pragmatic solutions to Nigeria’s development challenges in his circulated lecture but could not really delve into them at the event due to want of time. However, a few of these (such as improving media architecture in the country and acknowledging/harnessing the acumen of our intellectuals) are implied in the submissions hereunder. Most of the media in Nigeria are handicapped economically. Many are unable to regularly pay their staff, not to talk of funding meaningful newsgathering. Following from the foregoing, there is little independent search for news by the media. Most stories in the press come from staged events like conferences and press briefings. Also, journalists who are invited to such events receive brown envelops at the end of the occasions. Due to this dependency relationship, there is little or no interpretation in stories that are written. Journalists report what they are told, leaving many critical questions unanswered. The ultimate result is the hampering of the agenda setting role of the press since what becomes news is largely determined by the events journalists have been invited to, rather than their conscious focusing on issues that they feel should matter in society. Thus this time-tested means through which the media could influence society for good (agenda setting) is rendered non-functional. Perhaps, the situation would be different if journalists and communicators in general saw themselves as perpetual students, ever learning, to enable them probe issues and deliver sound discourses on them. Nigerian rulership was hijacked by non-thinkers from the time of the military coup of 1966. To date, intellectuals are not highly regarded in the country. In other words, people who have neither studied nor understood what development entails, people bereft of well thought-out, workable ideas, have been piloting the affairs of this country. Nigeria has also suffered a decline in culture. Values that matter are scorned. A look at history shows that this syndrome was associated with the fall of empires and civilisations in the past. No wonder, Nigeria is collapsing as a state. The country is haemorrhaging in terms of her human resources. The unemployed and desperate are risking their lives through the desert to enter countries like Libya where they sometimes end up as slaves. Those who leaxe Libya are crammed onto light vessels to make a perilous sea crossing into Europe. Many drown in the process and Italian and Spanish coast guards fish others out of the sea. But the situation is worse than this picture of the unemployed exiting the country paints. Middle level manpower in banks, the oil industry, you name it, are leaving too because people feel the situation is very bad and isn’t likely to get better anytime soon. There is also anarchy in the land, an example being the recent killings in Jos. The problems that led to these killings and similar ones before them were identified by a foreign scholar decades ago but nothing was done to avert the crisis. The whole country is hostage to about 60 or less people who manipulate everything for their benefit, but to the hurt of the rest of us. Utomi joined the campaign for an international court to try leaders who committed crimes against hunanity in the I1990’s. At the same time, he was campaigning for a similar court to try leaders who commit economic crimes against their people. While, thankfully, the International Criminal Court was later established, the court for economic crimes is yet to become a reality and so impunity in economic mismanagement continues. But the good news is that Nigeria can experience a turnaround as Brazil did under professor of sociology and political science, Fernando Henrique Cardoso, first as Finance Minister (1993-1994) and then as president (1995-2003). Cardoso’s success with the Brazilian economy was consolidated by his successor, Lula da Silva, with the result that Brazil became of the fastest growing economies, overtaking the UK as the sixth largest economy in the world briefly in 2012. To contribute to the development of this country, the youth should become avid readers. This will broaden their knowledge so that they can make meaningful inputs to national conversations at the appropriate time. They should also cut their teeth on leadership and activism through student politics. And always remember that if they can dream it, they can achieve it, through prayer and hard work. To learn more about Prof. Utomi, you can read the advance I wrote to this post on Facebook or his biography. If you attended that lecture, do share some other things you picked from it in the comments below. And whether you were there or not, highlight anything I’ve mentioned that struck you, if you may. Cheers! This really is a beautiful summary of the lecture. One thing that I have always reflected on,however, and wish could change, is the operation of the media in Nigeria.True to his words, most of journalism practice is that of dishing out information, from staged events...and that,cannot fill that lacuna in our society, the need for an institution that serves as a watchdog, and not just a mouthpiece. We excuse the inability of the media to generate enough funds for their operations, but one question, Ma, can we have an independent media in Nigeria, one which can run its operations without 'influence' from government? I think it's possible. It's happened before during the nationalist era. We even had guerilla journalism during the Abacha regime as the guest lecturer reminded us. It's just that with the general decline of culture he spoke of, people (not just journalists) seem to put pecuniary considerations above noble ideals. Praise God! I am glad you found it useful. Prof . Utomi really struck a lot of key points which I believe really are the media challenges in Nigeria...although he used a lot of big words I had to write down to go check the meaning afterwards..lol!😊😂..I'm really glad I attended. It was avtruly memorable occasion. Just keep building up your vocabulary and you'll possibly be able to speak and write like him in the near future. The lecture was a very interesting one. It reminded me that the media can not be overlooked. Even in a dictatorship, some journalists write news underground. The problem is that we are not seeing that robustness as we should in Nigerian journalism today. I pray that your generation will keep faith with the public better. Thank you so much ma for this. I like the part where he said that the problems Nigeria is facing will turn out to be an opportunity someday.. And so shall it be in Jesus amen. I loved that too. But he didn't state it as a fact. He said it's up to us to turn our situation into an opportunity for growth or remain in the ditch. Certainly I enjoyed his lecture. Hearing of all his qualifications made me to wonder how possible it was for him to achieve all that. And it motivated me to believe that I can reach any height I aim to reach if I can put more effort. And I can actually become a voice of reason and truth in this our country where neither the media nor government can be believed. Beautiful aspiration! 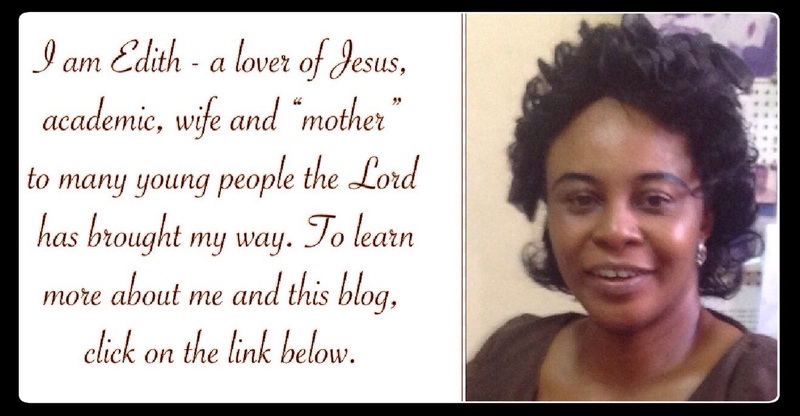 May you realise it and be gain recognition in the process in Jesus,' name. So happy that I saw him . I snapped with him too. I love his biography. His lecture was superb too. Yes, it was! You got it all, including the picture. Nice! Glad to of help, my dear! You are super blessed! This is just a breakdown for me. Am glad you prepared this summary. God bless you, Ma. It is a pity that the media are handicapped in such a country like Nigeria where there are so many things going on. We hear of destruction, killing, kidnapping etc, but so sad that the media who is the major stakeholder in the realization of sustainable development in Nigeria have not carried out their duties. Thanks to Dr. Pat Utomi who expounded this topic: "The media and the development challenges in Nigeria at a time of crisis" and gave remedy for it. And thanks to you, Aunty Edith, for this splendid summary. You are the best, ma. Everything said by prof. Pat Utomi is the fact. The mass media in Nigeria is indeed handicapped economically. May God save us in this nation. Thanks for the summary of his speech. Always intrigued by your write ups ma. Prof. Pat really blessed us with that lecture. if you can dream it you can acheive it! Professor Patrick Utomi inspired students with his lecture, he made me understand that nobody is dumb and one can get inspiration to read by been around books. Prof Pat is a well of inspiration. His main purpose was to enlighten us about the media and the development challenge in Nigeria at a time of crisis and he succeeded in doing so. God bless Prof Pat and God bless you, ma, for this post. Mummy, thank you for the work well-done. You made this work understandable for us. Bravo for that. I love the man's lecture, especially where he mentioned his qualifications. It made me dream of what the future has for me as a Nigerian. Nigeria has suffered a decline in culture, economy and had experienced all kinds of killings and blood sheld , but the giid news is that there is hope for a new nigeria, which is individual self duscipline, that is standing by the truth and broaden our kniwledge so that we can make meaningful impact in the national development and nation building. The lecture was really inspiring and am glad i attended...prof pat utomi is a great man full of vision and inspirations hes lecture was captivating and i thank God for him and his family....the lecture helps us to find out ways of rebranding and building up a new nigeria and ways we can help to revive our nation and make nigeria better and greater..
HIS LECTURE WAS INDEED A GREAT ONE. ALL HE SAID ABOUT THE NIGERIAN MEDIA ARE ALL TRUE. JOURNALISTS OF THESE DAYS ARE BECOMING LAZY, GREEDY AND SCARED WHICH CALLS FOR ATTENTION. 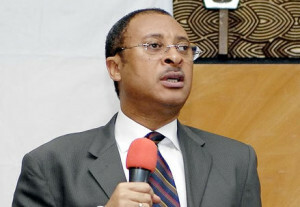 IT IS ALSO THE PRAYER OF EVERY STUDENT IN THE DEPARTMENT TO BE SUCCESSFUL LIKE PROF. PAT UTOMI. I enjoyed the lecture and am really glad to be part of the Jacksonite family. The lecture is an educational one too. It exposed the happenings in our society today. And trust me i'd love to be like prof pat utomi. I really loved prof pat utomis lecture ,he really talked on the challenges the country is facing and how to solve them, he also spoke on how the media has a big role in the economy with theories like agenda setting and statuses conferral on issues of the economy. Prof. Pat Utomi's lecture was so great and and inspiring. He really talked about the challenges our country Nigeria is facing at this time and also encourages the youths that through hard work and being prayerful we can have a better Nigeria. From his speech, I got to know and also believe that the Media can make a Major contribution to the healing of many wounds that currently define Nigeria even as they clock 58 today and also help construct a melting pot in which recruiting, quality of political actors etc powers a new consciousness for progress. According to him , he said the youth should become avid readers , its quiet unfortunate that most of our youth spend more time on social media doing or browsing things that won't add to their knowledge. Still wondering if this is how our dear country wil be change by them. Our country Nigeria really need help and only those who dream can achieve and find possible ways to contribute positively .God help us.